HOW TO SET A RENT PRICE IN GREENVILLE? Remember the old saying that in real estate it’s all about location, location, location? We’ll that’s certainly true for your rental. 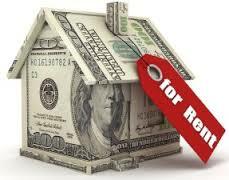 The goal of a rental property is to be an investment that returns the maximum amount of profit. What does this translate to? Having a paying tenant who does not damage your property, who will stay for a long time and who is willing to pay a market acceptable rent. In order to attract this ideal tenant, you need to offer a location, they want to live in. Off course everyone is different and as a landlord you decide the niche you want to invest in. It could be mobile homes on an acre lot away from other homes, single wide’s in a mobile home park, condo’s in the city center, flats close to highways, or single family houses. Let’s look at a target family of 3 to 5 people. Parents and Children. What would their needs be from a location perspective? Supermarkets – If a supermarket is pretty close that is a big plus. What do the other houses look like? Do people take care of their property, is the grass mowed, are their cars parked on the lawn. Does it “look” like a rental neighborhood? There should be a good mix of home owners and rental homes. Home owners in general take better care of their property and it makes the neighborhood just a little friendlier. Are there any deterrents? Like a rail road in the back yard with a cargo train coming by every ten minutes, or under an airplane landing path, or next to a boarded-up house, groups of people gathering on the street having parties, a street light shining directly in the living room or bedroom, a super busy road and so on. Location price will be next on the list, if people in the general area all have low income the price of the rental will be lower because that is what people can afford. When the area is growing or there is short commute to a good paying employer like BMW the price will be higher. Since most families are 3-5 people they will need enough space to live. Typical rental square footage that is adequate is between 1,200 and 1,600 square feet. If you go smaller the properties are harder to rent for those types of families, an 850-square foot 3 bedroom house feels very tight, but they do exist. If your house is greater than 1,600 square feet then tenant will like it, but they might not be willing to pay a higher price. Plus, the larger the house the more expensive the maintenance, especially during a turnover. Renters have a predetermined set of expectations of minimum requirements. Most commonly they are looking for three bedrooms and two bathrooms, less than this and they might be on the next house. Again, more is OK but it can’t be at a higher price. They expect the rental to have a refrigerator, a range, over the hood microwave, dishwasher and HVAC. To get the best price the property needs to be freshly painted, look updated and nothing can be broken, because nobody likes other people’s dirt and problems. Nowadays it’s critical for people to get high speed internet, DSL will not cut it. A big want is a 2-car garage and extra storage space, think a shed. These might not be deal killers but if competing houses have it, you will lose out. All other extras like a whirlpool, screen doors, ceiling fans, USB outlets, WIFI are niceties but really will not get you a better rent price. The price also depends demand and on how quickly you need to rent your property. First let’s look at demand, when the area is growing, the location is desirable, economic situation is good, and you advertise to get the phone to ring 10 times a day, you have a good chance to get the price you want, but still if it’s higher than market and there are other properties available, yours would need to have something special that people want to get the premium price. Sometimes it’s better to get a lower price, let’s look at this example. Market Acceptable Rent for similar properties in the neighborhood is $1,100 with a placement time of 2 weeks. You want to charge $1,200. The potential extra rent income is $100 * 12 months = $1,200 per year. Assume that you will get the property rented in 2 months instead of 2 weeks you now lost 6 weeks of rent income or $1,650 for a $450 loss in the first year had you rented it for $1,100. One thing that is important to understand is that the market determines what a property can rent for. Sometimes owners calculate their payments and base their rent price on what they need to get to break-even or achieve their investment goal, but you can only get what tenants are willing to pay. When you ask us, “What can my property rent for?” the answer is “Tell me a little more about your property.” To set a good rent target we will go look at the property, evaluate all the points discussed and do a rent comparison with other properties.